hi,what are the top yoke/steering damper options,i know about scotts any others? Family firm in Australia, there is a re-seller in Germany. Dead easy to fit and works well. So why would anyone want to do #4? 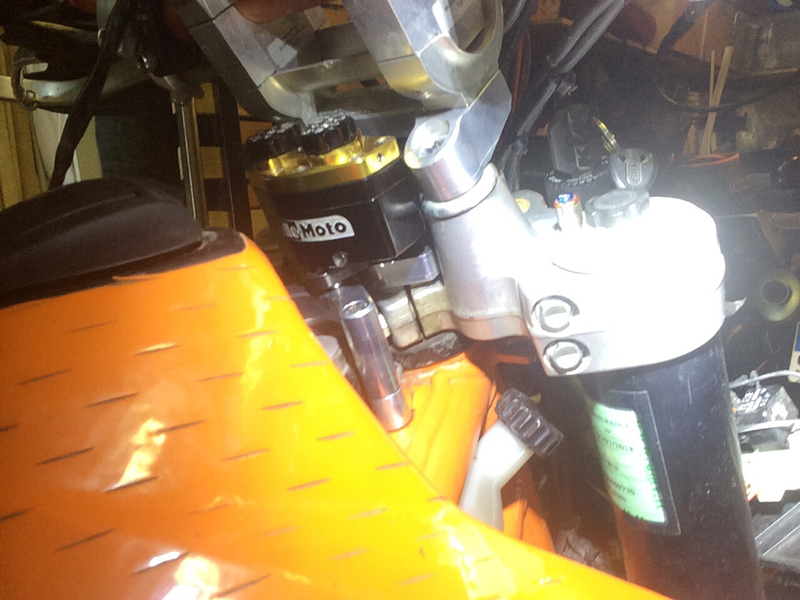 I use MSC/ RalleMoto 2 on my SE with their riser off set plate. Husky26; where did you get your tank graphics? That is exactly what I'm after - something that covers the actual tank portions as well as the usual tank shrouds. Alon wrote: Husky26; where did you get your tank graphics? That is exactly what I'm after - something that covers the actual tank portions as well as the usual tank shrouds.